Modern and stylish, this Safavieh Courtyard area rug is a quality accent piece. Make your hallway, dining room, or living room more stylish with this indoor/outdoor plush synthetic rug. Modern style and construction is combined in this machine-made rug. This geometric patterned blue rug makes a contemporary mark on your home's interior design. 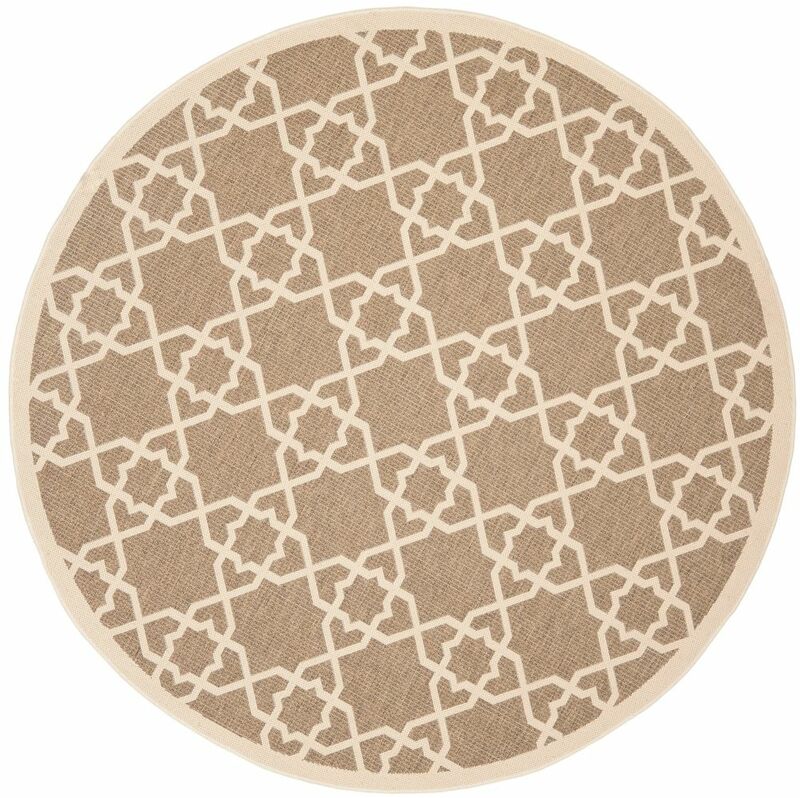 Courtyard Jared Brown / Beige 6 ft. 7 inch x 6 ft. 7 inch Indoor/Outdoor Round Area Rug Interior design made simple with this contemporary Safavieh Courtyard area rug. Decorate the right way with this indoor/outdoor piece constructed from plush synthetic material. High-quality and high fashion, this machine-made rug is perfect for you. Quality is assured with this geometric patterned beige tan rug.